A Worldwide Brands dropshipping membership provides you with safe, verified and 100% genuine dropshippers. A $30 off membership discount is included. Worldwide Brands is a dropshipping service provider. They locate genuine wholesale suppliers, verify their legitimacy to make sure that each supplier is a genuine, real wholesale supplier for wholesale and dropshipping products. They make sure that they are willing to sell products to online retailers at wholesale cost and see if they will work with sellers that like to sell on eBay or Amazon. Once they do all this leg work, they then place the company in their searchable database. Here are some common dropshipping questions people ask. Do I have to set up an account with each supplier or does becoming a member of Worldwide Brands automatically qualify me to work with all the drop shippers they list? They are not a middleman. 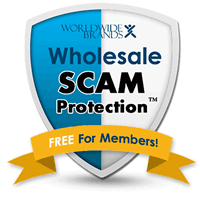 They verify the wholesale product and dropshipping sources for their members. Then it is the member’s responsibility to search the Product Sourcing Tool for wholesale suppliers that carry the products that the retailer wants to sell. Their members must contact the supplier they want to do business with, and setup an account directly with the wholesale supplier to obtain the best wholesale pricing. Do I have to buy more than one product? With dropshipping, you are not buying the products upfront. So it doesn’t matter the number of products that you list for sale. With the light bulk suppliers in our database, they have minimum orders of $500 or less, so you can keep your own inventory for better profit margins. Do I have to pay for the product before I sell it? With dropshipping, no you don’t have to. The supplier will be sending the product on your behalf to the end customer. You will pay for the product once a customer orders from you. This is the essence of drop shipping. Do I have to pay the supplier a membership fee too? 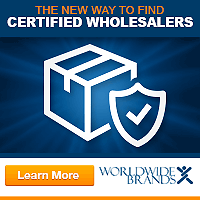 Worldwide Brands does not list wholesale suppliers with membership or account setup fees. What is a drop ship fee? A drop ship fee is also called a “handling” fee. This is the fee to pay the wholesale supplier to split apart cases and pack one product to send to your customer. How much is the drop ship fee? If there is a drop ship fee, they typically range from $1.00 to $5.00. Sometimes you will see a higher drop ship fee, which is understandable once you see the type of product that will be sent. Delicate products take more to pack and ship them, so the extra cost has to be charged in the drop ship fee. What kind of profit margins are there with dropshipping? This all depends on the products that you source and the supplier that you work with. All wholesale suppliers have their own wholesale pricing structures, so you will have to contact the wholesale supplier that you want to work with to get those wholesale prices to see what type of profit you can make. A middleman is a company that was created to simply pass on orders. A middleman will not hold inventory and will send your order to the actual manufacturer or wholesale supplier to send the product. They charge extra fees to do this, and that is typically found in the increased “wholesale” cost. How do I get images and descriptions of the dropshipped products for my website? The wholesale suppliers that dropship, will provide you with all the images & product descriptions that you will need to sell the product once you have setup an account with the wholesale supplier. Can you use a drop ship supplier and sell on eBay? You can use dropshipping to sell on eBay. eBay is a good place to test the product market to get more instant results. It is difficult to compete on eBay, so it’s best to purchase in light bulk quantities to sell on the eBay platform. You will get even better pricing by purchasing wholesale products in this manner, and you will have the control over your shipping so there will not be an issue with feedback. Why don’t all suppliers offer dropshipping? Dropshipping takes extra time and manpower. Many wholesale suppliers are not willing to do business this way and it will increase their overhead. Do I need a tax ID (United States) to work with a dropshipper? Yes. In order to work with any legitimate wholesale supplier, you need a tax ID. The tax ID is called a Sales & Use tax ID in most States. It can also be called a Seller’s Permit or Reseller Certificate. Check with your State’s Department of Revenue. Do I need a tax ID to work with dropshippers if I’m outside the US? Anyone from anywhere can purchase access to their Membership and still get a lot of benefit! Over 50% of their listed wholesale suppliers will work with international retailers. That means over half of their 8,000 listed suppliers will work with you. If you are interested in a specific country, and only want to work with wholesale suppliers in that country, you are welcome to contact customer support and they will check for you. Keep in mind, that since International rules differ from the US, there is no tax ID involved like you would need for the USA. So you will typically not need a tax ID in order to work with US wholesale suppliers. However, you will still need to obtain a registered business name and any other documentation required to prove you are a legitimate retailer. So you will need to check with your country or region to see what you need to show you are a genuine retailer. Do I need a tax ID to work with dropshippers if I’m only planning to sell on eBay or Amazon? Yes. In order to work with any genuine wholesale supplier, you need a tax ID. Please see your State’s Department of Revenue’s website for information about a sales & use tax ID. Will the dropship supplier use my company information on the shipment to my customer? Many of the listed wholesale suppliers will send the product in your name, or they will blind drop ship, so the customer doesn’t know exactly where it came from. With a Worldwide Brands dropshipping membership you can access many REAL dropshippers who use your company information on the shipping. How are returns handled? Do my customers ship the products to me or the supplier? This will vary from wholesale supplier to supplier. Each has their own rules on returns. You will have to adhere to the wholesale suppliers policies. Blind dropshipping is when the wholesale supplier will use a return label that reads something like “Fulfillment Center” or “Shipper” as the business name. What are the benefits of using a Dropshipper for my business? No overhead is the first benefit. You are not storing and stocking the inventory, so there are no extra costs involved there. There are no extra costs for you to take the time to pack and ship the product. Dropshipping is also great for testing the product. I could not find a Worldwide Brands dropshipper listed for the product I am interested in selling. What should I do? Worldwide Brands Members have the power of our Research Team behind them! On the right side of the Directory is a Can’t Find it/Product Request area. Click to submit your product request to get help. Are the dropshippers reliable? Did you make sure they are always in stock and ship products in a timely manner? When they go through the process of verifying a supplier, they check on many different things. They also monitor the listed suppliers and get feedback from our members. If a wholesale supplier closes business, changes their wholesale programs or becomes unreliable, they remove the supplier immediately. Do you list dropshippers from all over the world? WorldWide Brands lists suppliers from all over the world, but the majority of the wholesale suppliers they list are based in the USA & Canada. But if you are an international retailer, 60%-70% of the listed wholesale suppliers will work with you and ship products worldwide. Ready to become a Worldwide Brands Member?